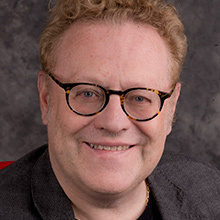 Michael Terpin is founder and CEO of Transform Group International, whose divisions include Transform PR, a global public relations firm that has served more than 200 clients in the blockchain field and helped launch 65 ICO’s, including Augur, Ethereum, Gnosis, Qtum and WAX; CoinAgenda, an event series for cryptocurrency investors, and Transform Strategies, the company’s advisory division. Transform Group is headquartered in San Juan, Puerto Rico, with offices in Santa Monica, Las Vegas, Silicon Valley, New York, Boston, Denver, Toronto, Paris, and Cape Town. Terpin also co-founded BitAngels (www.bitangels.co), the world’s first angel network for digital currency startups, in May, 2013, and he is co-founder of Aspire, a new asset creation blockchain platform scheduled to do its token generation event in 2018. Previously, Terpin founded Marketwired, one of the world’s largest company newswires, which was acquired in 2006 and later sold to NASDAQ for $200 million. He also co-founded Direct IPO, one of the earliest equity crowdfunding companies, and founded and sold his first PR firm, The Terpin Group. Terpin holds an MFA from SUNY at Buffalo and dual BA in journalism and English from Syracuse University, where he serves on the board of advisors at the top-ranked Newhouse School. Terpin is also an investor and advisor to many blockchain, media and technology companies, including CommPro, GoCoin, Polymath, Purse.io, ShapeShift, Videocoin and WAX.